We all know that exercise is good for us and that we should all regularly exercise and be active but when winter comes, activity levels for many of us drop and I am no exception. In spring and summer I love spending time outdoors hiking and cycling, but as the weather gets colder in the autumn it’s just not fun going out for a long walk or a bike ride anymore. Short days and darkness set in before I even finish my work don’t help either so I am now less active than in warmer months. Did the same happen to you? I know that some people are just not as motivated to exercise in winter, while others get bored with their workout routines or just dislike running or cycling outside because of the bad weather. Regardless of why your activity levels have dropped, there are certain things you could do to change that. I decided to put together some ideas to help you be more active, I will be definitely referring to them to increase my activity levels this winter. If you are a gym member, gym classes are something you should look at first if you want to be more active. Can you introduce a new class to your workouts, something which you haven’t tried before, possibly something fun that will keep you going? I used to love Body Combat before I injured my knee, such a great and fun cardio workout which I do recommend trying. Unfortunately, my knees are not reliable enough for this high impact workout anymore so I avoid it. My gym offers so many different classes and recently they have added some new ones which I did check out but they wouldn’t be kind to my knees and also the timings are bad so I will leave things as they are at the moment (one or two spin classes weekly + one general workout). Does your gym offer any new classes? Check them out! It could be something there for you which you will enjoy doing every week. 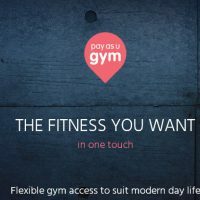 If you are not a gym member, why not become one? Your local gym is not the only place to go to if you prefer exercising indoors. 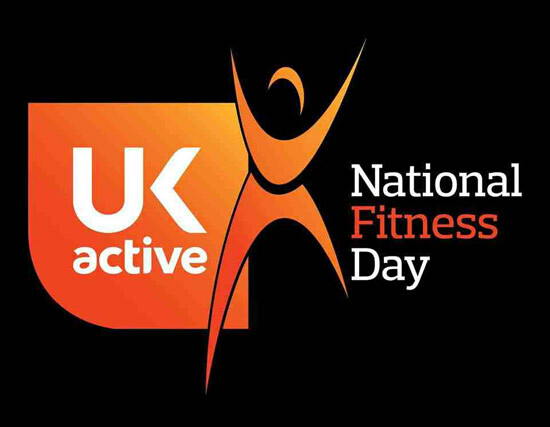 Have you checked your local leisure centre yet? My local leisure centre does not only have a modern gym and swimming pool, but it also gives me an option to play sports such as badminton and short tennis, definitely something I could do at the weekend. See what your local leisure centre has to offer and take a friend with you to play sports with you if needed. YouTube is great for exercise videos. If you are a fan of yoga check these Yoga YouTube channels for example, and for general workouts PopSugar fitness is amazing. There are hundreds of other great fitness channels as well so see what you could find. What’s great about winter is that you are able to do some fun winter sports like ice skating, skiing and snowboarding. It means spending time in the cold but it doesn’t mean you will be freezing, just wear some thermal clothes and many layers and you will be totally fine. Moving around will actually make you feel pretty hot. If you don’t know how to ice skate or ski maybe now it’s time to learn. Do you have an indoor snow slope near you? It’s just something new to try to keep you active in winter. Also, at this time of the year you will be able to find outdoor ice rinks in major cities where you can test your ice skating skills. 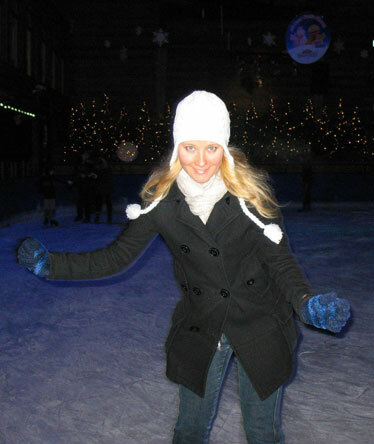 In the past, I went ice skating for my birthday (see the picture below) and me and my twin sister also went skiing quite a few years ago. I haven’t skied since then as I was told by a physiotherapist that skiing puts a lot of pressure on the knees and it’s best to avoid it. I would love to do it again though and see how my knees cope. When it comes to ice skating I actually have an indoor ice rink very close to me, so I can definitely do it one weekend. If everything else fails go for a walk. Yes, it’s not nice walking in the cold but if you are already outside walking for one reason or another, why not extend your walk? If you are walking home you could take a long way and if you use public transport, why not get off one stop earlier and walk the distance instead? Sometimes, to be more active in winter requires just a little bit of planning. I currently don’t plan my workouts but I think it’s such a great idea to do it. I picked this tip from Cat blogging over at Cat Food is Good For You – she plans her workouts 8 weeks in advance! Wow, impressive, isn’t it? If you look at her blog, you will find some other great tips there to help you stick to your workout plan. So there you have it, my top tips on what you could do this winter to increase your activity levels. Do you have any more tips to add?